We all have people in our lives to whom we are profoundly grateful. In my life one of those pushing for first place is Peter Jones. Peter (never Pete) edited Record Mirror. It was along with Melody Maker, and the New Musical Express a weekly music paper through a number of decades in the last century. It was published at a time when the charts were so central, and music was so exciting. Over a number of years I wrote loads of copy, and at one time took pages two and three for what was billed as Chart Parade, as well as writing innumerable features. I came in at the end of an era for Val Mabbs and Charlie Webster. The offices were at 9 Carnaby Street, right in the thick of the happenings. It was in my time owned by Billboard, the US music and entertainment giant. Easy Listening became another journal; from these premises, edited by Peter. There was also Music Week, the industry trade paper, and here my thanks goes to Brian Mulligan, who later would found his own trade journal. Jones was over six feet, always genial with just an occasionally ‘come down heavy’ when thing ere not right or people lacking in whatever. Peter was one of the first to give space to the rolling Stones. He could have followed a better football team for he was an ardent supporter of Chelsea, with an extra affection for Leyton Orient. So to he was an ardent cricket fan. People often wonder how you get into the business, in this case the print world. For me, it was hassling Peter, lots of phone calls – he didn’t hide behind a secretary. Then follows an editor’s trust that you will do it right. Peter was 85 when he died this summer. I salute a great man. I’d love to re-run those days. Music magazines have been going a bundle on Gurrumul. Take the world music magazine Songlines – it speaks of this young Australian singer combining the devout with what it terms the ‘Dreamtime.’ .Gurrumul released a self-titled album in 2008 and since then the sheer beauty of his voice has established him as a major artist down under. His new release The Gospel Album (PMT)digs back to his earliest memories when faith songs were a regular fare in his household and nearby church. It comes in five traditional Yoingu dialects, but if that is a barrier for many you can surely ride here with the emotion and feeling, that this artist displays, as on the meditative opening track ‘Jesu’ where repetition of our Lord’s name is enough. Again at the other end of the album is ‘Amazing Grace’. This is gentle music with the accompaniment so sensitive and praiseworthy. As Songlines Seth Jordan writes “Like most Pacific cultures, Aboriginal society was greatly impacted by colonial Christian missionaries from various denominations...one positive outcome was the Introduction of gospel music.” One reviewer has said that if there is a God then He is speaking through this artist. That is praise indeed. The 1960s produced in the US a revival of folk music, although some may question the broad span that the Americans gave to this genre. 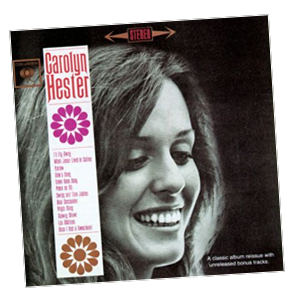 Under this very broad umbrella came the young Joan Baez, Judy Collins, Peter, Paul & Mary, Pete Seeger and even for a moment Bon Dylan, From this era Trobadour records have brought back into play a self-titled album from Carolyn Hester. Texan Carolyn’s album first saw the light in 1962. The artist, as with some of the names mentioned, saw no problem in including religious material, and the main tracks here with direct Christian reference are ‘When Jesus Lived in Galilee,’ and ‘Virgin Mary’. Less obvious is the opening cut ‘I’ll Fly Away’ that speaks of the after-life. Dylan plays harmonica on three of thee tracks. Available from more specialist record outlets. Danny Gokey is an American singer, with strong country music roots. He is a former church music director. After leaving RCA Nashville in November 2011 he moved his musical direction toward what the Americans call ‘adult contemporary Christian music.’ In 2013 he signed with BMG and in 2014 his second full-length album Hope In Front of Me (PMT) was issued, and in the passage of time that album only this summer makes the release schedule in this country. When issued in the US, it occupied top spot in the Billboard, Christian music chart. In the Spring of this year he joined the US, Burn Bright tour that focussed around JM singer Natalie Grant.. Certainly he has some good calling cards, not least recording with Lionel Richie. His thickish powerful voice belies his front sleeve personal pic. It’s a voice that seemingly might come from a bigger guy. This is a powerful set of songs , albeit with an overall sameness, in what is not a ‘country’ feel, with Gokey’s vocals, and songs, more into a soft rock feel. Possibly to draw from the singer only a wry smile, there is something of Phil Collins in the vocal texture. This is not specifically what might be termed a ‘Christian’ album, even if it is issued from that source. The album title track was nominated as Song of the Year at K-Love Awards 2015 this past May, and was one of the award winning songs at the 2015 BMI Christian Awards on June 23. One of the most poignant songs is ‘This is What it Means’ – it talks of what it is to be alive and at the same recalls the death of his first wife from complications during her surgery.. In my occasional ‘flashbacks’ I’ve been playing the Sheila Walsh album You Raise Me Up (integrity). indeed the title track is her version of the massive pop hit that has lyrics by the Christian influenced Josh Grogan. There have been various recorded versions, including one, by although relatively unknown So Hyang. It’s a song that has leant itself to many musIcal genres, including of course the original from Celtic Woman. It’s been termed by some one of the most beautiful and moving inspirational songs. The Walsh version is deeply moving and indeed this album reminds us of how much is missed by the seeming disappearance of this Scottish born singer who went to live in the US. Her time there took her into major television work , book writing, but there also came struggles with depression, and marital problems . I cannot find a dumb track on this set, and a special cut, ‘Just Give Me Jesus.’ .’ Noticeably a Wikipedia entry only takes us to 2007. It’s a fine worship album and well worth you trying to locate a cop on the internet. This article first appeared in the British, Methodist Recorder. Cockburns invites to that wonderful festival. 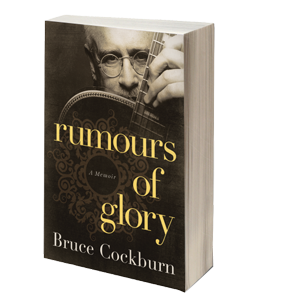 And so it is that we have in lavish book form, hardback, and just over 500 pages RUMOURS OF GLORY (Harper One). This book travels hid Christian convictions and reminds us that he has had some 31 albums. Social and political activism has not escaped this fine songwriter and you get this side of him as he explores at length his own lyrics. 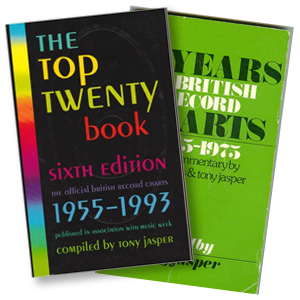 Last month saw the start of listing available music books with the first theme that of general music commentaries. It should be pointed out for American friends particularly that to some extent lists are based on UK publication. The tites here are of books owned by me. A&R Book search – books for the record collector Avis and Robert Ronald.This extraordinary book was published in 1997. Here, I mention a few titles but these two gather hundreds of books under various musical genres. Billboard book of Gold & Platinum Records. (In the US, Billboard have a hefty catalogue. British Hit Singles edited Martin Roach. First Hits Brian Henson. Colin Morgan. Guinness Book of 500 Number One Hits Jo & Tim Rice, Paul Gambaccini. Mike Read. Guinness. British Hit singles and albums. Various editors. Nostalgia Book of Britsh Hit Singles. Tony Jasper. Jimmy Savile. Rough Guide of Playlists. Edited Mark Ellingham. Stranded rock and roll for a desert island Edited Greil Marcus. This sermon was preached in March this year by tony jasper. ANOTHER WEEK OF PEOPLE. OBVIOUSLY PRESIDENT PUTIN. JOHN KERRY. FACES AND MAMES OF PEOPLE IN THE UKRAINE, FORMERLY UNKNOWN TO US. IN THE TIMES EDUCATIONAL, BOB GELDOF, THE SINGER, SONGWRITER, CAMPAIGNER, SAYING THAT THE TEACHING OF SEVERAL PRIESTS IN RELAND INTRODUCED HIM TO JOHN MILTON, BREATHING LIFE INTO THOSE MAGICAL WORDS, HE WAS BEWITCHED. THE MUSIC WEEKLY, NEW MUSICAL EXPRESS TOLD US THAT THERE IS NEW MATERIAL FROM JOHNNY CASH TO BE ISSUED AT THE END OF THIS MONTH. ‘OUT AMONG THE STARS’ IS THE TITLE. IT WAS RECORDED EARLY 1980S. HIS RECORD COMPANY REJECTED IT. NOW HIS SON HAS CONVINCED ONE AND ALL THAT THERE WERE SONGS BEFORE THEIR TIME. ONE TRACK IS ‘I COME TO BELIEVE’ . SON JOHN SAYS: “DAD WRITE THIS AB OUT HI FAITH WHILE RECOVERING FROM DRUG ADDICTION. Faith was empowering o my father and you can hear the spirit being lifted up. THE TIMES ED ALSO CARRIED MATERIAL ON MALALA, THE BRAVE PAKISTAN GIRL A SINGLE GIRL DOING HAT MOST PEOPLE IN THE WESTERN WORLD TAKE FOR GRANTED, HICH IS SEEKING SIMPLE EDUCATION. A GIRL WHO JUST WANTED TO GO TO SCHOOL. ANTHONY WEDGEWEOOD BENN, TONY, DIES AT THE AGE OF 88. FEW ARE LEFT WHO HAVE MET SAY CLEMENT ATLEE, WINSTON CHURCHILL. DIRECT CONNECTIONS WITH THE PAST DISAPPEARING. It’s the weekend, so yes football names, especially rugby personages, and the Newlyn boy Jack Nowell scores his first try for England. PICK UP ANY NEWSPAPER OF YESTERDAY, TODAY, MANY MORE PEOPLE THAN I HAVE NAMED. ANOTHER SOURCE TELLS ME I SHOULD BE MENTIONING A MAN CALLED NICODEMUS.HE’S THE CENTRE OF TODAY’S GOSPEL AND LECTIONARY READING. NOW TO MENTION THAT MIGHT PULL US IN THE WRONG DIRECTION. IT PUSHES US IN TO BIBLE STUDY, It can introduce a false sense of sudden reverence, or start the process of dividing scripture and the life out there. BUT NICODEMUJS COULD SIT DOWN TODAY, IF HE WERE AROUND, WITH THOSE I’VE NAMED – AT LEAST ON THE VERY BASIC GROUND THAT APPLIES TO THEM ALL – NAMELY THE SHOUT FOR PEACE AND FREEDOM OR EVEN TO TACKLE AND CONFRONT OPPRESSION, THE SHOUT OF PEOPLE FOR A BETTER SOCIETY, THE SHOUT OF PEOPLE TO FIND OUT WHAT MAKES THEM TICK, OR COULD MAKE THEM TICK, THE SHOUT OF FINDING MEANING, SOME CENTRE BASE FROM WHICH ALL ELSE CAN FOLLOW. NICODEMUS IS IN JOHN’S GOSPEL. THAT GOSPEL, AS THE OTHER THREE, IS FULL OF PEOPLE FROM VARYING WALKS OF LIFE, THEY COME OUT OF SITUATIONS AND HAPPENINGS, THEY C AN COME OUT OF THE PAGES OF A BOOK WRITTEN A LONG, LONG TIME AGO, AND IF WE STARE LONG ENOUGH WE MIGHT RECOGNISE THEM TO BE SIMILAR TO PEOPLE WE KNOW, MAYBE OURSELVES – ALL CHASING AFTER LIFE AND LIVING. BUT YES THERE IS DIFFERENCE, NO MOTHERS BRINGING THEIR CHILDREN PUBLICSANS SINNERS MISSING, NO PICTURE OF A FARMER SOWING HIS SEED BUT NONE THE LESS.. IN THIS JOHNNINE GOSPEL THERE IS EMPHASIS ON THE TRUE HUMANITY OF JESUS. BUT I SLIGHTLY DIGRESS. THERE ARE MANY PORTRAITS OF JESUS. BUT ALL PRINT TO HIS SPECIALNESS, HERE IS THE VERY WILL OF GOD BEING SEEN AND EXPRESSED. HERE IS THE MAN WHO CAN REDEEM AND SAVE EVEN THE WORST. NO ONE IS OUTSIDE OF HIS KINGDOM. BUT YES AT LONG LAST DIRECTLY TO THIS THIRD CHAPTER IN JOHN’S GOSPEL. LONG LOVED BY REVIVALIST PREACHERS. LONG A FAVOURITE IN THE TIME WHEN MANY A PREACHER WOULD BE ASKING YOU TO COME AND GIVE YOUR HEART TO JESUS, TO REPENT, PUT AWAY THE THOUGHTS THAT HAVE GUIDED YOU, FINDING SOMETHING NEW AND DIFFERENT, ALTERING THE COURSE AND DIRECTION OF YOUR LIFE. HERE THEY SAY IS THIS MAN BICODEMUS. HE WANTS TO BE. HE WANTS TO BE DIFFERENT. HE WAN TS TO FIND SOMETHING NEW. HE WANTS TO HEAD OFF SOMEWHERE. HE IS OFFERED A NEW BIRTH. HE COMES TO JESUS WHEN NO ONE CAN NOTIE. HE SCUTLES ALONG THE DARK PASSAGE WAYS TO AN ARRANGED MEETING. HE HAS MUCH TO LOSE F HE IS SEEN. AND ALL THIS YES TO MAKE THE REVIVAL PREACHER OF OLD SO EXCITED. WITHOUT WISH ING TO TAKE A`WAY ANY OF THAT IT HAS TO BE SAID THAT SOME ASPECTS OF THIS RELY ON A PARTICULAR INTERPRETATION OF WHAT IS THERE IN THE PASSAGE. NOT TOL BE DOUBTED, THE EXISTENCE OF NICODEMIS. NOT TO BE DOUBTED THAT HE WAS FASCINATED BY WHAT HE HAD HEARD ABOUT JESUS. BUT BY NIGHT? DID HE REALY CHOOSE THIS TIME BECAUSE NO ONE WOULD SEE WHAT HE WAS UP TO? BUT WHY THE QUESTION? SIMPLY THIS: PREACHERS HAVE WA`NDERED INTO THIS INTERPRETATION WITHIN TH THOUHT FORMS OF OUR OWN CULTURE. THERE MAY HAVE BEEN NO TIMIDDITY OR UNWILLINGNESDS TO COME OUT INTO THE OPEN,THE TIME CHNOSEN COULD REFER TO A PRIAVTE INTERVIEW WHEN ALL ELSE WAS OUT OF TH WAY. MORE THAN LIKELY HE SA`W JESUS AS A FELLOW RABBI – (JESUS CALLS HIM THIS IN JOHN 5. 21) A TEA`CHER OF THE LAW. THAT NICODEMUS HAD A ZEAL, A` DESIRE TO KNOW MORE. NIGHT STUDY OF THE JEWISH TORAH WAS SEEN AS PRAISEWORTHY. SUCH NIGHT DISCUSSSIONS WERE REGARDED AS SYMPTOMS OF DEEP RELIGIOUS ZEAL, MUCH AS IN TIMES PAST METHODISTS WOULD MEET ON A WEEKDAY EVENING FOR BIBLE STUDY. WELL, YOU MIGHT SAY, THAT WHAT MATTERS IS THE ECNOUNTER WHATEVER THE SITUATION, WHATEVER THE MOTIVE. IN A WAY YES. WHAT IS BEYOND DISPUTE IS THAT WHEN THE ENCOUNTER DOES TAKE PLACE NICODEMUS IS IN FOR A` DISTUBRING TIME. HE HAS COME TO STUDY THE LAW. EVENGELISTS AN D PREACHERS OF OLD THAT I REMEMBER HEARING HAVE SUGGESTED THAT HE TRIED TO OUTDO JESUS. PERHAPS. MAYBE ALSO TWO LEARNED PEOPLE TACKLING THE SCRIPTURES.. BUT WE WHOULD NOT DISCOUNT THE THOUGHT THA HE HAD HIS QUESTIONINGS OF WHERE HE STOOD IN REIGIOUS TERMS, IN LIFE TERMS, AND THAT HE DOUBTLESS HAD INWARD DISATISFACTIONS, NOT UNLIKE THOSE THAT MUST HAVE BEEN IN PSUL’S MIND PRIO TO THAT GREAT DAMASCUS ROAD MOMENT WHATEVER, NICODEMUS IS CONFRONTED BY A` DIFFERENT SET OF PROPOSITIONS. HE IS CONFRONTED NOT WITH BEING TOLD HE SHOULD DO THIS AND THAT TO GAIN IF YOU LIKE FAVOUR EITHER WITH FRIENDS, RELIGIOUS PEOPLE, GOD.. HE IS CONFRONTED WITH RELIION OF THE SPIRIT. HE IS TOLD TO SEE THE KINGDOM O GOD MEANS A NE BIRTH. PROBABLY WE SHOULD TRANSLATE BORN AGAIN AS BEING BORN FROM ABOVE. THE ACTUAL GREEK IS UNCLEAR. ON THE OTHER HAND BEING BORN FROM ABOVE INCLUDESD THE IDEA OF BEING BORN AGAIN. SO NICODEMUS IS OFFERED NOT SOME FRESH LIGHT ON WAYS OF BEING RIGHTEOUS .HE IS BROUGHT TO HIS UNDOUBTED GOAL – THAT OF LIVING OUT HIS LIFE IN THE WAY HE BELIEVED GOD WOULD HAVE IT. BUT JESUS IS TAKING HIM INTO ANOTER DIMENSION OF RELIGIOUS EXPERIENCE. TO HIS RIGHT TO BEOME..
Jesus offers his friendship without conditions and to those who accept it is like as second birth. BUT THIS CONCEPT OF THE SECOND BIRTH IS DEEPY ETHICAL. IT MEANS NEW BIRTH INTO A NEW WORLD WITH NEW DEMANDS AND N ENW RESPONSIBIITIES. JESUS AND NICODEMUS ARE NOT AS YET LIVING IN THE SAME WORLD. For John see ch 4 v 19, Jesus is the creative course of all love. Hostile forces ..their enmity ruthless and he must be crushed, but for all time until his coming again before thee world is set a love, a powerful giving love – THE DARKNESS IS IN MANS REFUSAL TO BELIEVE THAT HE HAS MADE US FOR HIMSELF AND IF THAT IS SO THEN THERE IS NO MORE TRULT HUMAN WAY OF LIVING THAN BY FOLLOWING JESUS IN THE POWER OF HIS SPIRIT. WE CLAIM THAT IN THIS STORY IS THE STORY THAT GIVES MEANING TO OUR LIVES. ... I shall be doing a set to particularly feature the album Something for the Soul. Greenbelt takes place over the August Bank Holiday weekend 28th- 31st - my set is at 11.30am on Monday morning in 'The Canopy' venue and I’ll have with me some of the musicians who played on the album. Chris Rogers, who is a wonderful violin player, is Head of Strings for Lincolnshire Music Service; though Chris is a fantastic classical player, I also think of him as a fiddle player: when I've been in the States, I’ve had the privilege of playing with a couple of brilliant fiddle players - one is Byron Berline, widely recognised as one of the world’s best fiddle players and he plays on the 'Lonesome Troubadour' album - Byron has played with them all from Dylan to The Eagles. 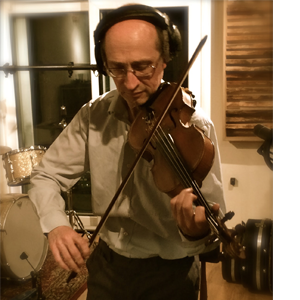 Also when I was recording 'Scars' in Nashville, when I needed a fiddle player they told me "the Jones boys are in town", which I discovered meant George Jones’ band - I was delighted that Hank Singer could come out and join us. So if by chance I refer to Chris as a fiddle player, it is meant as a great compliment, because he is as good as these guys. 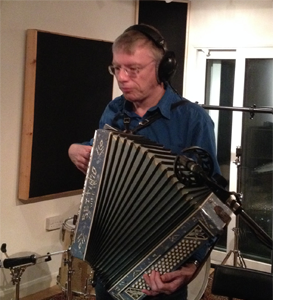 Also I’ll have Paul McDowell, sometimes known as Prof, who plays with The Famous Potatoes - Paul is a wonderful accordion player and I love to hear the accordion - I blame Ry Cooder for this as he used to come over and play at the Odeon Hammersmith every year and he brought over incredible musicians. One year he came with Flaco Jiménez - an amazing accordion player from San Antonio, Texas. He brought ‘Tex-Mex’ music not only to Ry Cooder, but also to The Stones. Since then I’ve particularly enjoyed the accordion work of Carlos Mejía Godoy from Nicaragua. Each visit that Amos Trust does to Nicaragua we try to get to hear the music of Nicaragua’s top folk musician and his accordion work is quite extraordinary. So I love to have Paul’s accordion there. 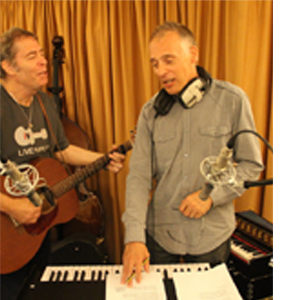 And Pete Banks will be doing backing vocals - Pete best known for his work as keyboard player with After The Fire - he’s great on backing vocals. It happened in quite a strange way that I booked him to do this - I was having lunch with him on Mersea Island and just before lunch he had told me he would show me his harmonium afterwards - but as soon as the food was put in front of him there came "a shout out" from the coastguards - and Pete had to run and do his work as a volunteer coastguard. So in the end I asked him to bring this harmonium to the recording for the Chartist album Liberty is Near!, on which he was great and then he started joining in the backing vocals and I realised he loved doing this, and so since then he's been joining me on various gigs as well as the new album. Pete has also just made an album himself - it'll be out on GingerDog Records soon. 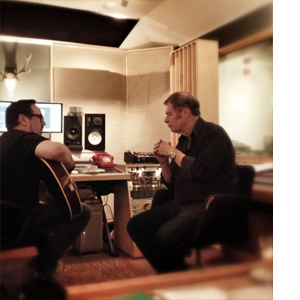 I should also mention Kevin Duncan of Ginger Dog Records - he's produced Liberty is Near! and Something for the Soul. I've enjoyed working with Kevin. We were recording or re-recording two or three tracks the other day for a couple of compilaton albums to be released in the next few months. I first starting working with Kevin when he was with Kevin Mayhew Publishing. He put together the Justice Like a River album and songbook. One day I was up there with him - I'd just written "You'll lead me home" and I was thinking it must have Hammond organ on it and I was wondering who would play that, but I hadn't said anything to Kevin about it; he wanted me to see their music room and in there he sat down and started playing Hammond organ. I knew then this was going to work! Working on Something for the Soul with Kevin was great - it was pretty instinctive and we just got on with it and of course very good fun - he took me to a studio that was also a coffee shop - that really worked! Kevin is now making all the older material available on line - have a look at GingerDog Records and go to my name and you'll see we've got nearly 20 albums up there now with another 10 to come soon. It's a very large piece of work but we're getting there. for creativity that lifts our spirits and moves our souls. We're grateful for the joy it can bring or the storytelling it can encompass. Keep us thankful and generous in our spirits. "Poetry is a human right" said a sign in Nicaragua - so is music - so is art. We are grateful for these gifts that can keep our imagination alive and our soul challenged and inspired. Oh God, keep us sensitive and creative, and keep us listening.